Napier museum is located in Thiruvananthapuram district and was constructed in the 19th century. It is named after the Madras governor general John Napier. This museum is also called as the Government Art Museum. The Napier museum and the art gallery lies in the same compound. 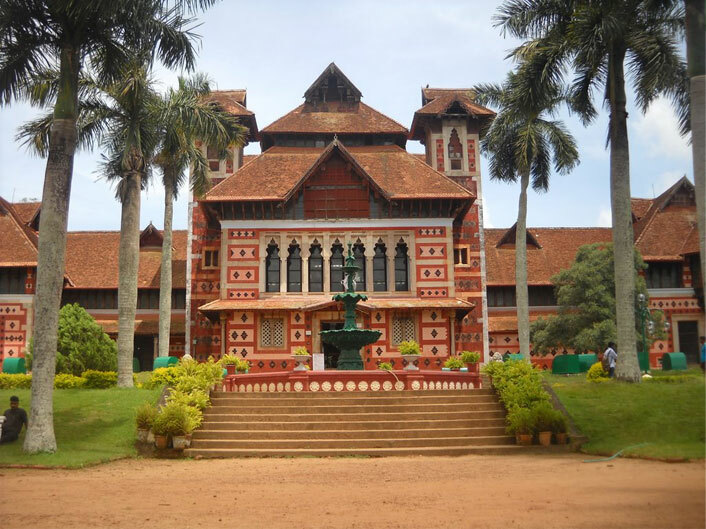 The museum is built in the traditional Kerala, Chinese, Mughal and Italian style. It has a traditional natural air conditioning system. There are many archaeological items that include ornaments, idols, chariot, ivory carvings etc. kept here. The art gallery named as Sri Chitra Art gallery has pictures of Raja Ravi Varma and several other famous artists. Paintings of Rajput, Mughal etc as well as the paintings from countries like Japan, China and Tibet are also displayed here.